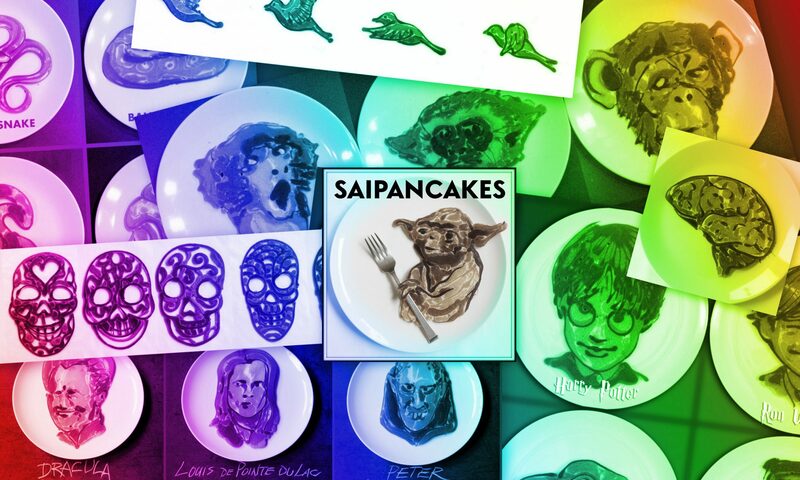 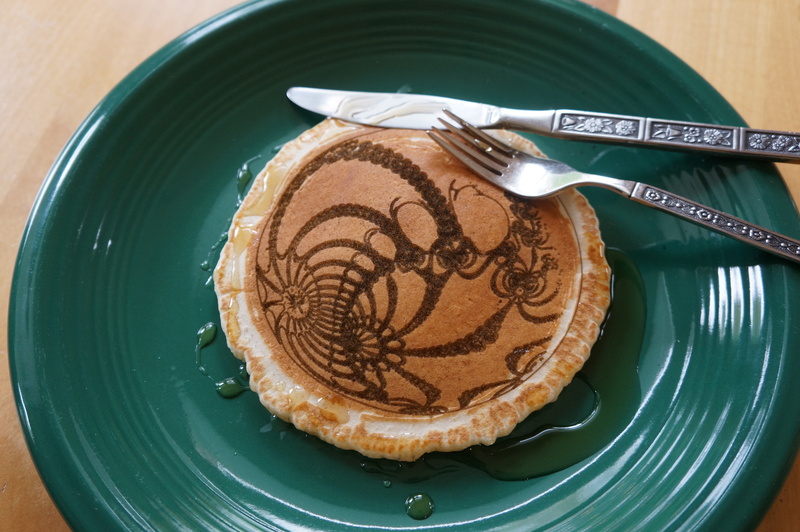 Just your standard laser-engraved pancakes. 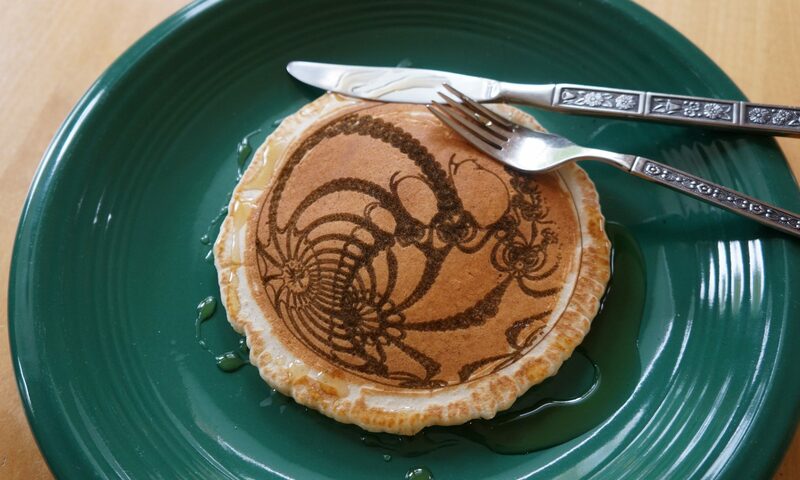 This one was a design make by a professor of mine: see Sekino’s Fractal Gallery for more. 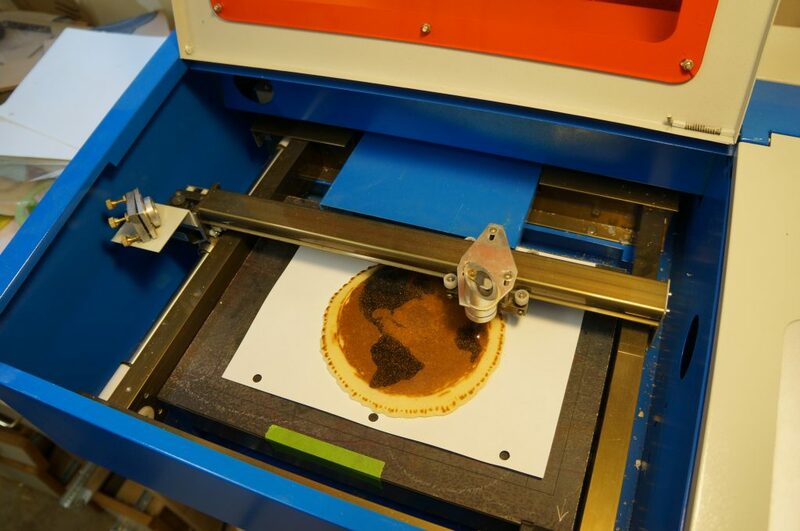 We tried making a globe too, but it got a little too hot.